I chose a relatively safe combo to kick start Colour Fest. 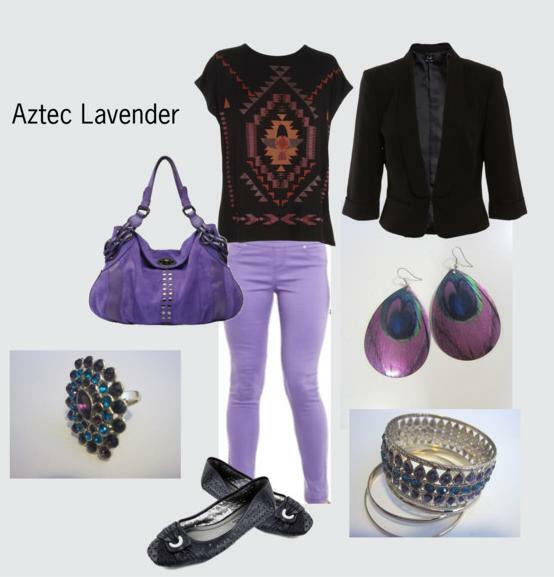 I already have a lot of purple, especially like Acai (Pantone 19-3628). Today purple leggings, a paisley dress with a mix burgundy, purple and orange, a purple sweater, tan boots I had made in Vietnam and bronze coloured accessories. Too easy! I’m off to Wellington, New Zealand for a few days. How exciting, to use my passport again! 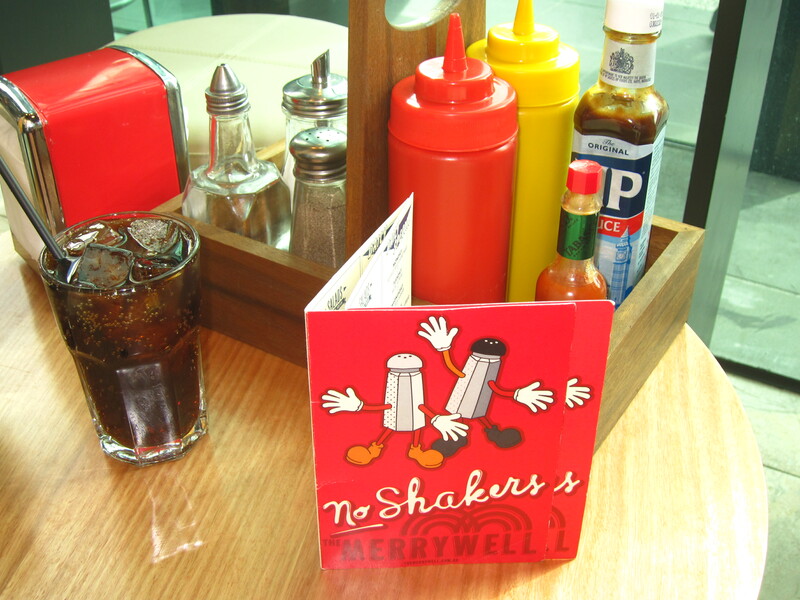 It’s more glamorous than it sounds, just going to spend some time with some of my family. The weather forecast says a maximum of 14 degrees, with winds and rain also on the forecast. Real Winter Weather! 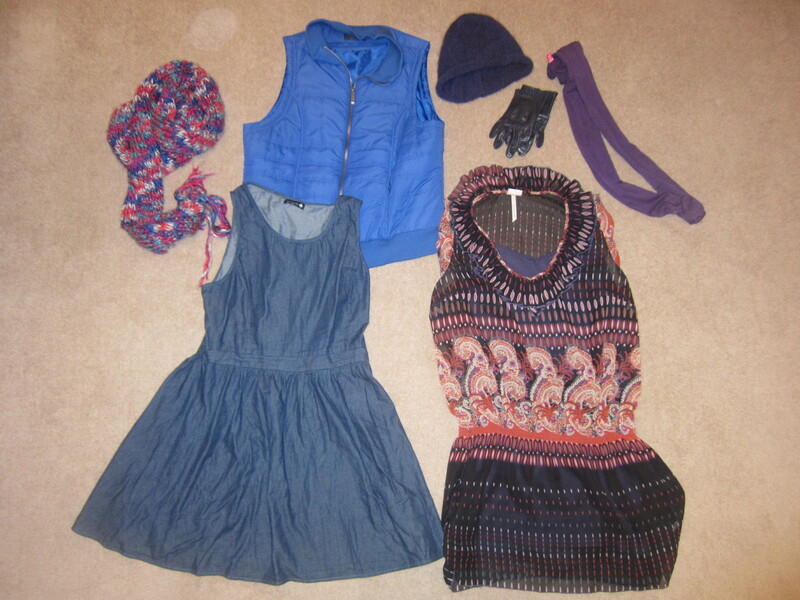 Calls for some warm clothes, a big scarf and boots. 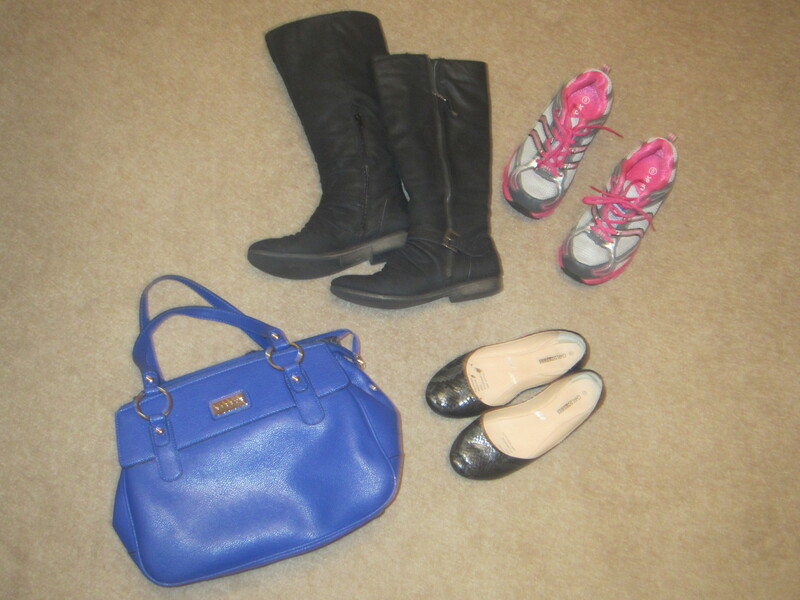 My packing travel colour scheme was blue and purple, with neutral items in black and denim. I am planning on doing some shopping when I get there so I went with a bigger than needed suitcase so I have plenty of room for any purchases! 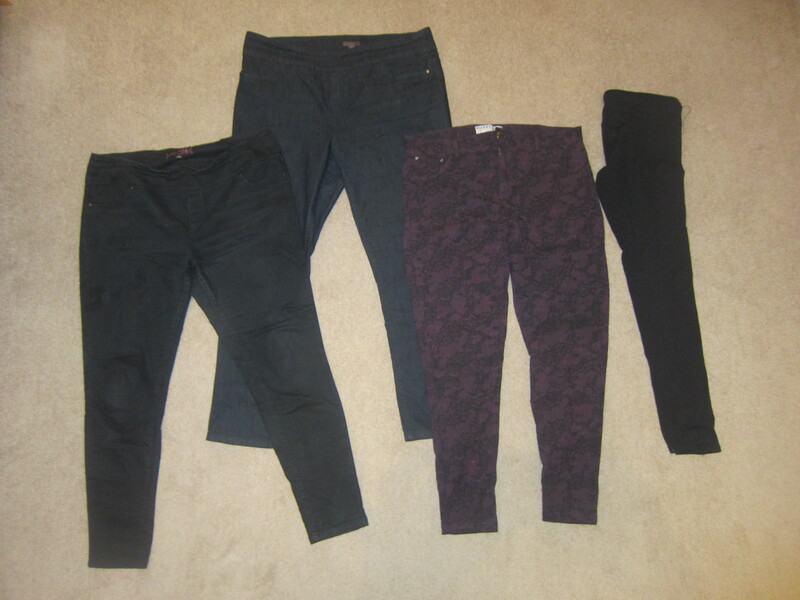 Black jeans from Crossroads, dark denim jeans from Katies and patterned purple stretchy jeggings from Rivers, with a pair of black leggings. 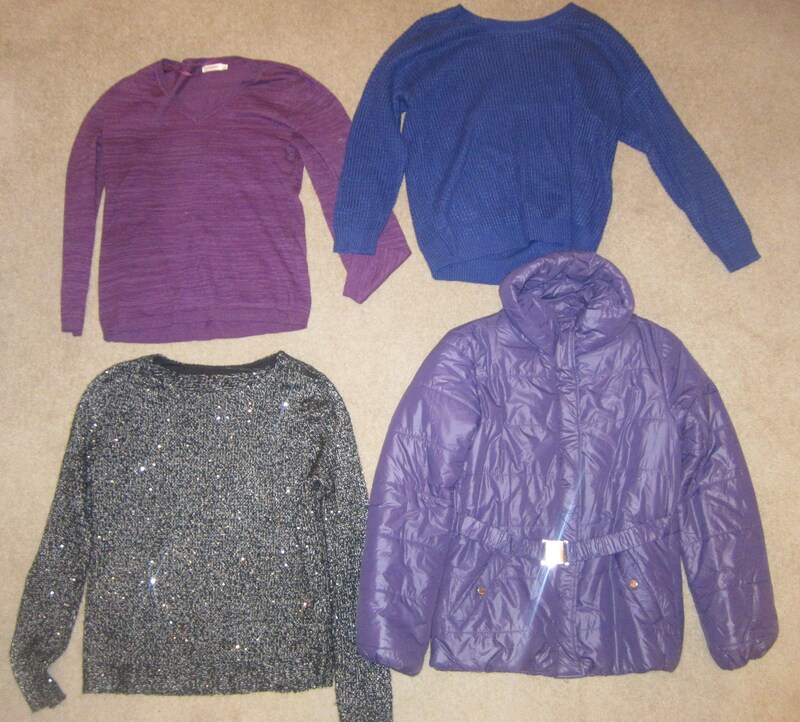 Purple sweater and purple parka from Cocolatte, Blue Jumper from Valley Girl and Black sparkly jumper from K Mart. The necessary black singlets, with a blue one thrown in for layering, purple top from Revival, black top with mini stars from K Mart, black long sleeved top from SES Fashion and Aztec print sleeveless blouse from Cotton On. My trust colourful scarf that feels like its about 7 metres long, perfect for wrapping around my neck several times and a denim dress/pinafore from Cotton On. Blue vest from Crossroads, homemade beanie (thanks mum! ), Paisley dress from Living Doll, purple tights from Ambra and my grandmothers antique leather gloves. 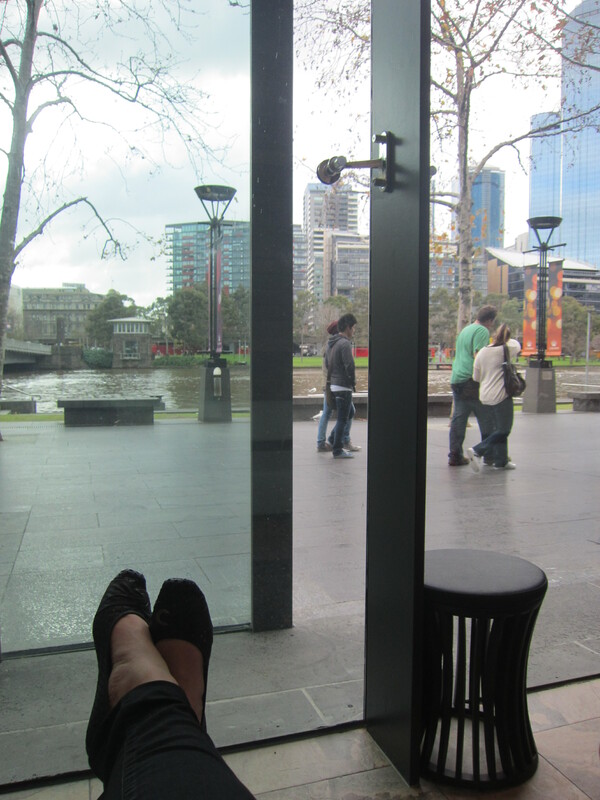 All my shoes are from K Mart (sad I know!) But the flats were $8! I bought 2 pairs. Plus my birthday purchased Basque blue hand bag. Sometimes I take too much jewellery and never bother wearing it. Other times I take too little and get bored with only one pair of earrings. 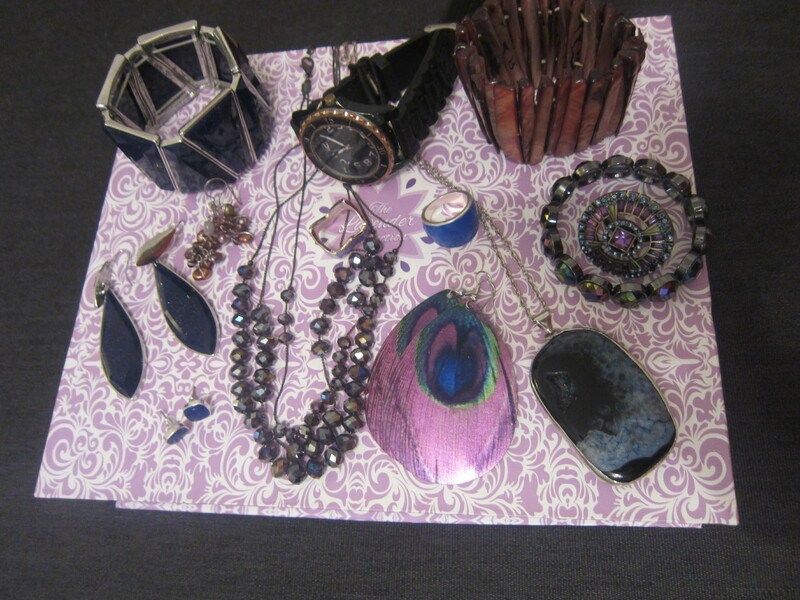 But I justify that as I have so much jewellery, I better take lots and get the most out of it! 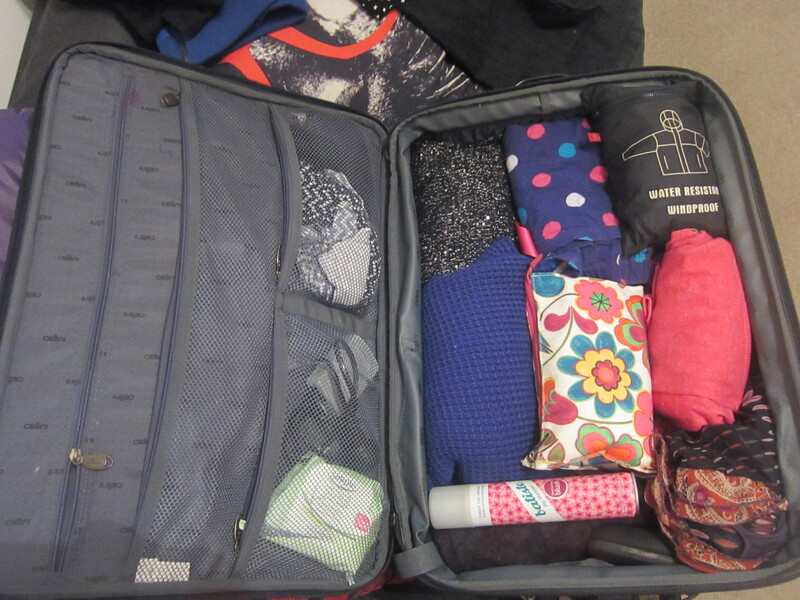 Packing all done! Bon Voyage! Really liking my Purple Jeans ! Remembered I had this aqua, coral and purple Aztec print top. A great match. The only bummer about today was that my ring slipped off, gone forever I’m afraid! Sad face. I lose so much jewellery. That’s why I buy it cheap. These earrings cost $2.50! The blazer and shoes make me feel corporate, well as close as I’ll ever get seeing as I don’t work in a corporate field. Corporate was a weird choice for a Saturday too. I’ve always loved purple but lately I’ve been rocking orange! Which I discovered needs to be done in small doses, too much orange is a bit harsh on the eye! 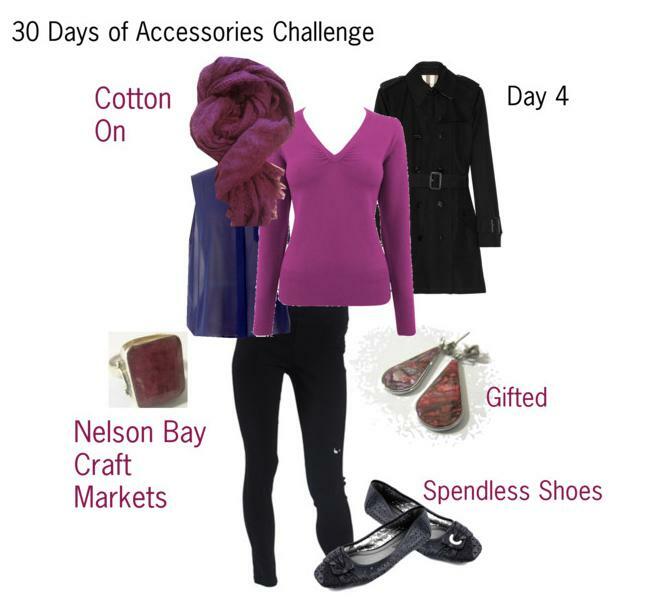 Love a good black and white outift, but accessories… purple or orange… so hard to choose! Queuing for 2 hours requires comfy clothing and these shoes barely made the grade. 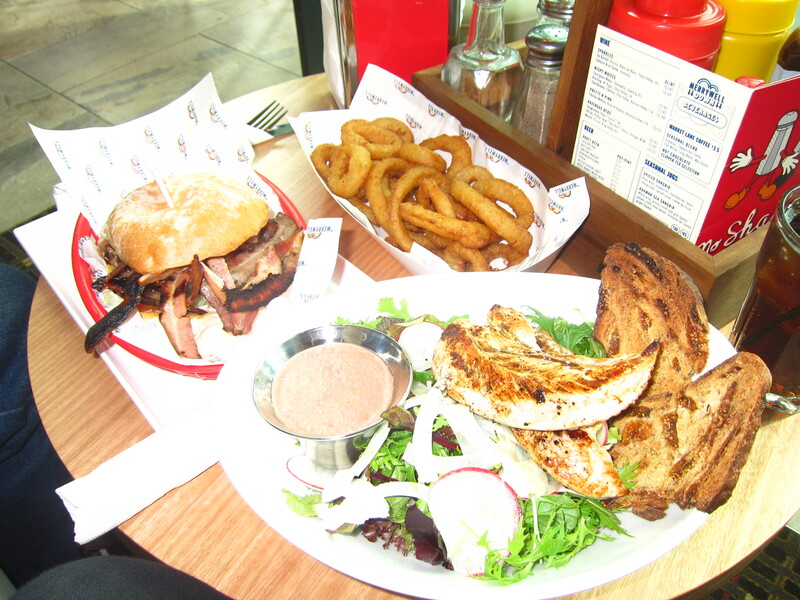 Luckily in between our Comic Con mission we went and had a long lazy lunch at The Merrywell. And for the record… I did not fit in at Comic Con at all …. Purely there for research purposes! Heels clicking in an empty studio! Exhibition officially open!